Will has been at the Bar for 33 years and has vast experience accumulated over that time. 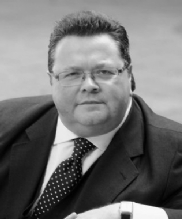 In the early days of his career at the Bar, Will had a general common law practice comprising family, crime, housing and personal injury cases gaining familiarity with all tribunals from the Magistrates’ Court to the Court of Appeal. Clients regularly comment on Will’s sympathetic and accessible approach, whilst remaining realistic in advising lay and professional clients on what can be achieved from litigation and the best way to achieve it, verbally and in writing. A qualified, although non-practising mediator, he is experienced in negotiating financial settlements and child arrangements at an early stage in proceedings, saving the lay client time and money. He is courteous but determined in the face of the Court. emergency remedies including financial and domestic violence injunctions. Throughout his career Will has advised and appeared very regularly in applications for financial remedies on the breakdown of marriage, wherever and whatever the assets may be, from high value cases throughout the spectrum to creating solutions where assets are limited. He is valued for his pragmatic, firm but sympathetic advice. The welfare of the child is paramount and very often parents cannot agree where the child’s interests lie. The Court is then asked to make Child Arrangement orders, deciding issues such as with which parent a child should live, how much time they should spend with each parent, holidays and passports. What happens if a parent wishes to remove the child to live abroad, when the other parent does not agree? Should a parent without Parental Responsibility acquire it? Is there a dispute over which school a child should attend, or whether an operation is necessary? Has the State in the form of the Local Authority intervened in family life and issued Care proceedings? All these issues benefit from sympathetic but firm legal advice and representation. 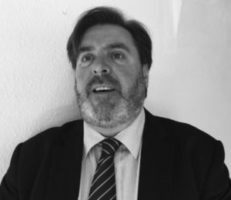 Will has advised and acted in these and allied matters for over 30 years, in tribunals from Magistrates’ Court level, through the County Court to Wardship and jurisdictional issues in the High Court, before and after the coming into force of the Children Act. Acting for children and those with no capacity. Will has been instructed regularly to act for children and where otherwise there is no capacity, either through the intervention of the Official Solicitor or solicitor for the child. Will is very experienced in acting in cases where orders need to be made restricting the behaviour of or exercise of parental responsibility by one party or another. In particular he has acted in domestic violence cases since early 1980s and has experienced the development of the law and the Court’s attitude to such cases over the years. Although contested divorces and nullity proceedings are now rare, both from a drafting point of view and court hearings, Will has done many in his time and has plenty of experience in this field when required. Will undertakes instructions directly from members of the public under the Bar Direct Public Access scheme, which allows him, in appropriate cases, to work without a solicitor. With the removal in most cases of public funding many people cannot afford both a barrister and solicitor and the Public Access scheme allows people in a wide variety of Family cases to have the benefit of a barrister’s advice and representation at the cost of the barrister alone. Will can be contacted via the clerks for Public Access enquiries.